The last few years have seen more and more people turning towards a plant based diet, taking part in movements such as ‘Meat Free Monday’, and ‘National Vegetarian Week’. 'Veganuary' saw 150,000 pledge to give up foods derived from animals for the month, and that's not including those taking part unofficially. It's estimated that over a million Brits are now full-time vegans, a number that continues to grow. Balance Garden is an inclusive publication, and we recognise that people make food choices for a multitude of different reasons. Although a lot of our team fall somewhere on the ‘plant based’ diet scale, we are well aware that there are numerous factors that determine a person’s dietary choices; including health, economics, religion, culture, preference, just to name a few. While I fully advocate that you do your own research into the way your food is produced, and take an active role in choosing what you decide to put in your body, the scope of this article is not to try persuade you to subscribe to any particular dietary label - only you can determine what works best for you - but instead to share what has worked for me personally in terms of staying healthy and strong when I found myself in a position where I was eliminating food such as meat, fish, eggs and dairy from my diet. I visited a nutritionist back in the summer of 2018 complaining of fatigue and brain fog. At the time I was consuming no animal products whatsoever, and had been vegetarian for the majority of my life. I had never thought to replace what I had elected to cut out of my diet and for many years I felt as healthy and energetic as any of my meat eating friends. Over the last five years of practicing and teaching yoga, however, I slowly became aware that I was feeling unnaturally wiped out at the end of the day, often too tired to even have a conversation when I got home and struggling to climb the stairs to my room. When an opportunity to have my diet and energy levels looked at presented itself I didn’t expect much to come of it. I have always considered my diet to be healthy and balanced, and attributed my tiredness to the long days I was working rather than to the food I was (not) eating. A quick analysis by the nutritionist however, quickly revealed some deficiencies in my diet. Alongside suggesting I supplement with vitamin b12 and a vegan omega 3 supplement (usually found in animal food sources), she also suggested that I almost doubled my protein intake. Official recommendations are to eat around 0.8g of protein per kilo of body weight per day, and more if you are living a very active lifestyle. I was getting half of what I needed. 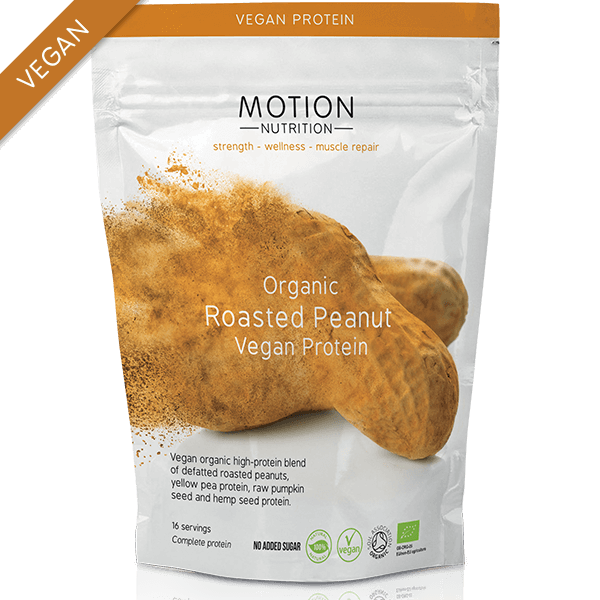 As well as working to integrate more legumes and wholegrains (natural sources of protein) into my diet, I’ve also found it really helpful to include a vegan protein shake a few times a week, especially on particularly physically demanding days. It’s made a huge difference to my energy levels, and I no longer feel that run-over-by-a-bus feeling at the end of the day. 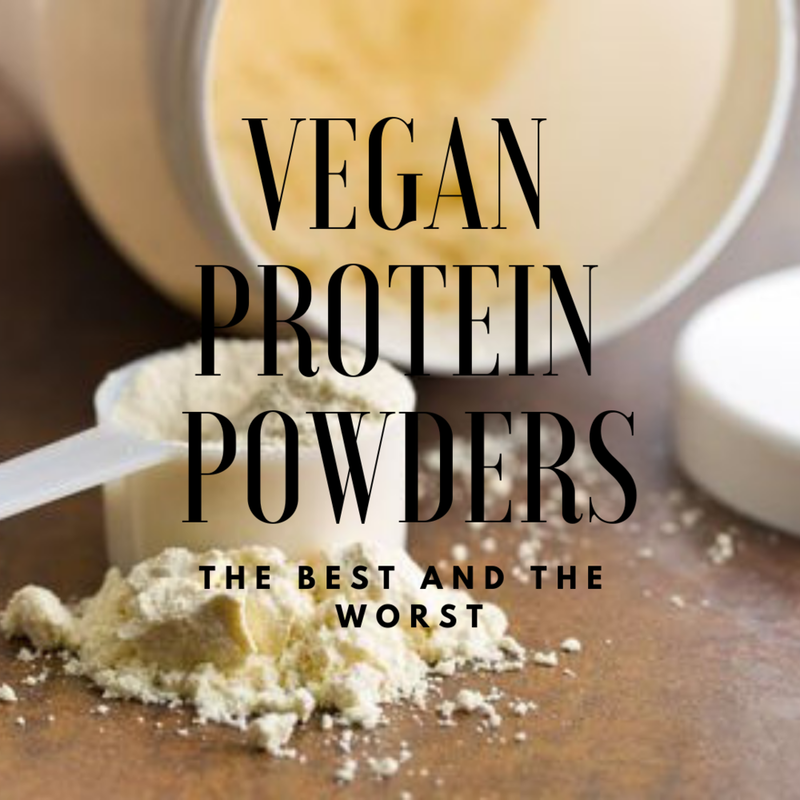 I’ve tried a number of vegan protein powders in my search for one that doesn’t taste like old dog, so I’m sharing them with you today, so that you don’t have to trawl through them in the way I had to! Please note that this is not intended as medical or nutritional advice, I am not a nutritionist and would always advise that you see a professional with any specific health concerns. We have plenty on our books here at Balance Garden, so contact us if you need a recommendation. However, if you are already in the market for a plant based protein powder, then here’s what I’ve found! N.B Annoyingly, brands often display different serving sizes etc. on the nutritional information making it hard to compare. Here, I’ve worked out the protein and price per 37g (which is a standard serving size) to make the comparison more accurate. Taste: Satisfying and filling - this feels like a substantial snack. The flavour is chocolatey and creamy without being too sweet. I like that you can’t taste artificial sweeteners that you often can in shakes like these which I find really off-putting. I really like this one and would buy it again. Taste: A nice twist on the usual chocolate protein powder flavour available on the market. The texture was a little bit gritty, but it didn’t affect my enjoyment of the product that much. This protein powder is also organically certified which is a big plus for me (see why HERE), and there are plenty of other flavours to explore. Taste: The butterscotch flavour could have been stronger, but overall the taste and texture was good. It felt substantial and filling and kept me going in between meals. 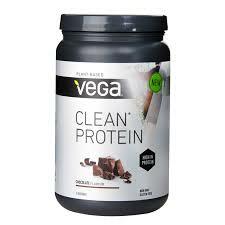 This has a particularly high protein content per serving, so is a good choice for very active days. Taste: The roasted peanut flavour made a nice change from the standard vanilla and chocolate options that seem to dominate the protein shake market, but I found the consistency to be a little watery and less satisfying that other options I’ve tried. The product is organically certified by the Soil Association which is a big plus and accounts for the higher price point. Taste: Nice creamy and satisfying texture, but I could taste the sweeteners, and the pea protein in it comes through a little strongly for my liking. Taste: Awful! Pretty much undrinkable. 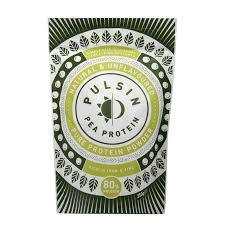 To be fair, this is not Pulsin’s fault, Pea protein is infamous for tasting bad, but I would steer clear of unflavoured protein powders unless you have a strong stomach. I tried blending this with fruit and the taste was still so strong that I couldn’t drink it.